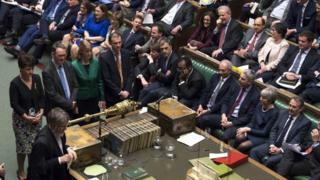 Indicative votes: What are they and how are MPs hoping to clear the Brexit confusion? Members of Parliament will have a series of votes today as they try to work out what their preferred version of Brexit should look like. 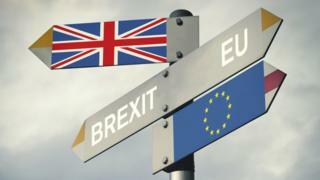 There's been a lot of confusion and argument about the way forward for the UK, as the country tries to work out the best way to leave the club of countries called the European Union (EU). 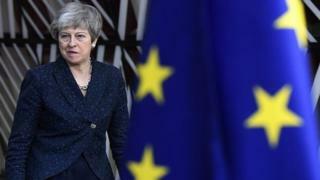 The deal that Prime Minister Theresa May has worked out with European leaders hasn't been able to get enough support from MPs. 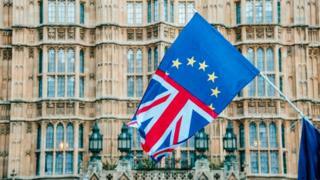 Having voted earlier this week to take control of the timetable in the House of Commons, MPs will vote on a whole series of option for different types of Brexit alternatives. The idea is to find a proposal that would get support from Parliament. The Speaker of the House - who's supposed to be a sort of referee in the House of Commons - will pick the options, which could range from leaving the EU without a deal to having another public vote - and lots of other possibilities in between! On paper, MPs will mark a "yes" or "no" for each option. The process is likely to continue into next week. Keep reading below to find out more about what's happened so far and what could happen next. 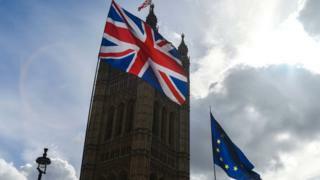 Adults in the UK voted to leave in 2016, but since then there's been a lot of disagreement on the best way to do it that would cause the least damage to the UK whilst opening up new opportunities for the country around the world. Prime Minister Theresa May has worked out a deal with the EU but when she asked MPs to vote on it - they rejected it. Twice. The date the UK was due to leave, 29 March, has been put back. 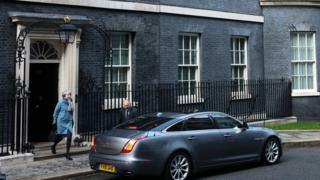 MPs have blamed European leaders, each other and the prime minister for failing to reach a suitable agreement. Theresa May has blamed other Members of Parliament. This weekend, hundreds of thousands of people marched in London in support of halting Brexit or having a new referendum while while another smaller group have marched saying we should stop negotiating and just walk away without a deal! Confused? You aren't alone. So what's the way forward? The truth is we don't know yet? But one of the options is a process called Indicative Votes. Basically it's a fancy way of talking about a series of votes where MPs decide which way they'd like things to proceed. These are due to begin on Wednesday 27 March. No official rules will be produced and it doesn't become law but the idea is to try to clear up confusion about what MPs would vote to support. MPs could vote on a series of options to see which of them get a majority. Amongst the ideas that could be put in front of MPs are things like accepting Mrs May's deal, leaving with no deal, copying the relationship another country (such as Norway or Canada) has with the EU, or having another referendum. Supporters hope it'll provide some clarity. We want your reaction to what's been happening this week. How will the votes work? It's believed that there will be about five hours of debate on different options. At about 7pm MPs will choose a "yes" or "no" for each option and mark it on a piece of paper . The results will be announced later in the evening. Does the government support the idea? Well, that's not certain either. Mrs May says she's "sceptical" about the process, which means she's not convinced it will work. In any case, there also is no guarantee she will follow their wish. It's also not clear if the big parties will allow their MPs to vote for what they actually want or if they'll be told to vote the way party bosses want them to. Also there are some people who think that the whole process could lead to more MPs deciding they want to back Mrs May's deal after all. Will what they decide definitely happen? No. These votes wouldn't become law. The government wouldn't have to do what MPs say, but if there is a agreement on a way forward, it would be difficult for the prime minister to ignore it completely. Yes. In 2003 MPs voted to try to find agreement on a way to change the House of Lords. Sadly, they couldn't find agreement so nothing changed! Some people worry the same thing could happen with Brexit. Brexit just needs to stop! That's all you ever hear ! Please talk about something else! Its all Brexit brexit brexit can't they think about anything else!!?? ?